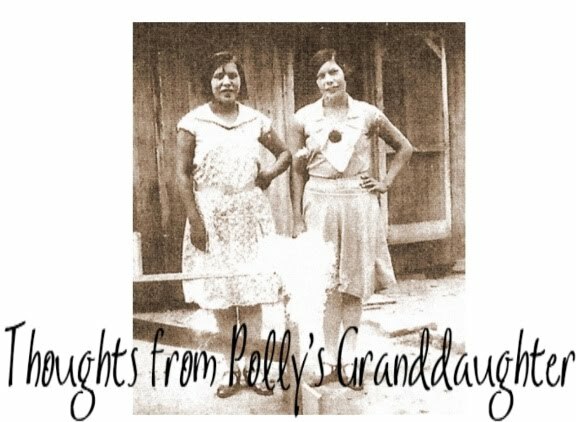 My great great great great grandma, Peggy Dennis, was the daughter of Peter and Arley Dennis, Old Settlers of the Cherokee Nation. She married Redbird Woodward and they had three children; Elizabeth, James and Sarah. Only Sarah survived to adulthood. Later, Peggy married Gabriel Martin and they had a son named William Martin. 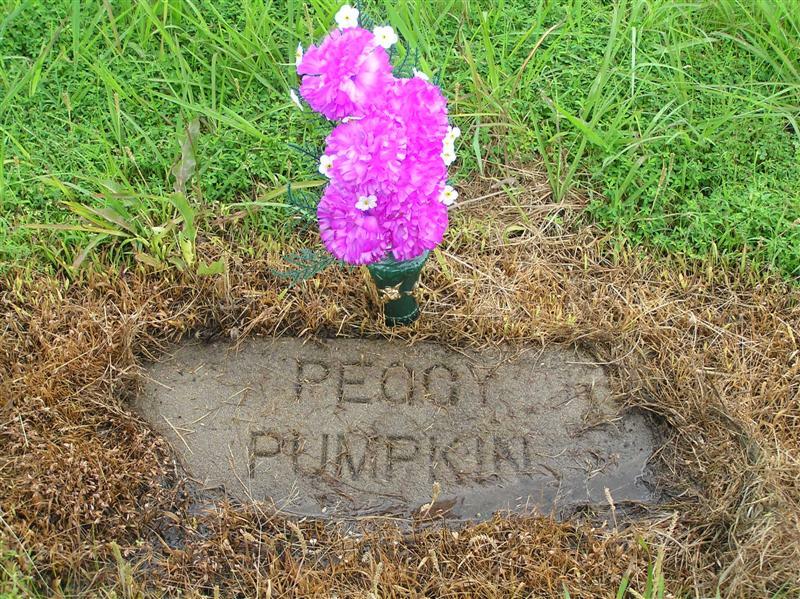 After that union ended, Peggy married George Pumpkin (aka Pumpkinpile) and spent the rest of her life with him. 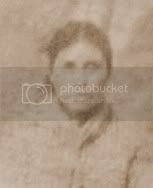 Peggy was listed on the Dawes Roll as Cherokee by Blood. She was originally buried in the Old Fisher Cemetery that was on land from her grandson's allotment. 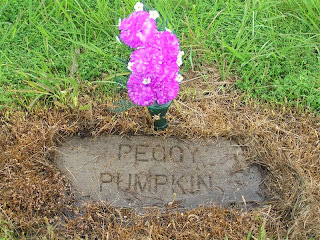 Later, the cemetery was moved due to the construction of Fort Gibson Dam and now Peggy rests in the new location of the Fisher Cemetery near her husband, George; her daughter, Sarah; and several of her grandchildren, great grandchildren and great great grandchildren.